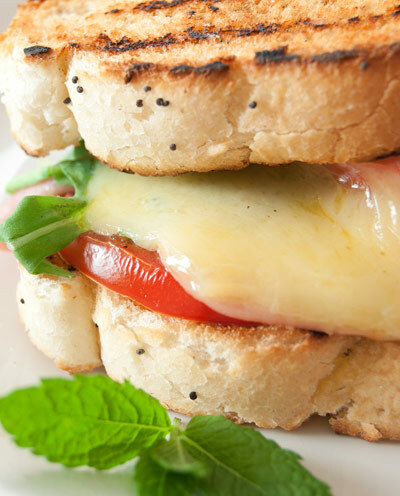 Layer the arugula, basil, tomato and cheese on two slices of bread. Top with remaining two slices of bread. Brush outer sides of bread with salad dressing. Grill, uncovered, over medium heat for 3 to 4 minutes on each side or until golden brown.